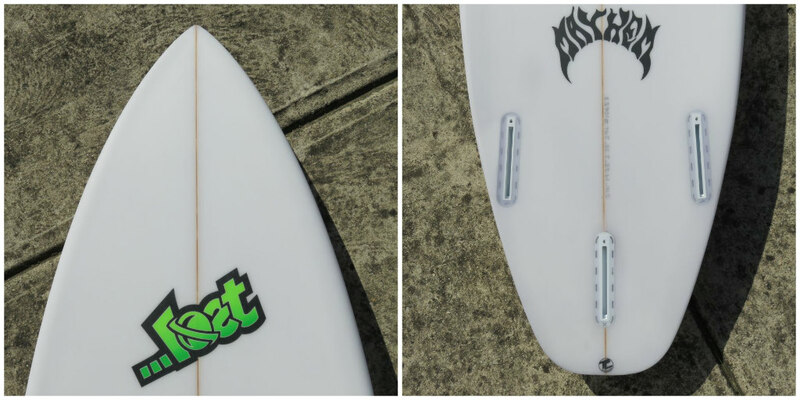 We now have the …Lost Voodoo Child Model in store hanging on our racks at Zak Surfboards. This is the first Mason Ho Pro Model surfboard, designed by shaper Matt Biolos with feedback & creative input from Mason. 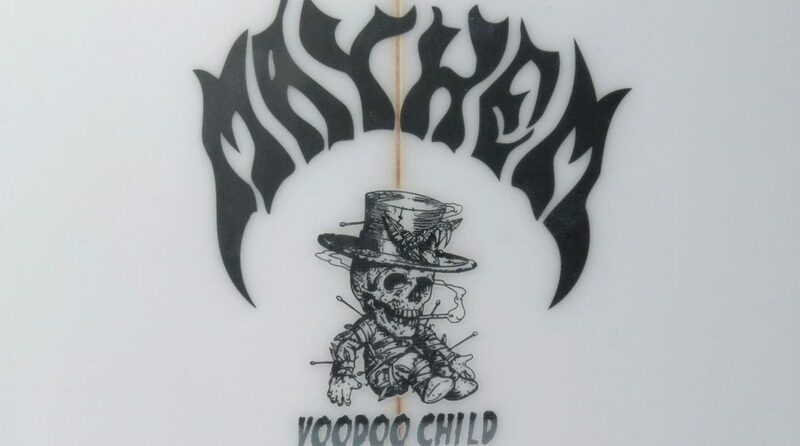 The…Lost Voodoo Child Model is a mash-up of classic and current performance surfboard designs. Successfully combining the forward glide & projection off the front foot of shapes from the 80s, with the quick turning, loose, high performance demands of today’s progressive surfing off the tail. The Voodoo Child has quite a unique outline compared to most of the performance shortboards we have in the shop – with a pulled in nose, that broadens into a fairly parallel outline through the center of the board (for drive), that then leads into a distinct hip and finished with a wide squash tail. This outline encourages quick, angular direction changes, particularly in and around the pocket which is evident in the 80s inspired lines that Mason likes to draw. A beaked nose has been used in this design to help to carry a bit of extra volume forward into the nose – assisting with glide and paddle power . The beak design also allows the shape to keep thickness in the nose and maintain a flatter rocker line through the front end of the board (because you don’t have to kick up the rocker from the bottom to meet the nose like you do in most contemporary designs). Don’t let all this talk of easy surfing and all things retro dis-way you though, this is no retro craft – The Voodoo Child is more than capable of any of the cutting edge lines you want to take. The Voodoo Child has a lower than typical nose rocker, a relaxed curve through the centre and a healthy kick in the tail. Flatter in the nose and middle for paddle, acceleration and glide – with extra curve in the tail for quick & responsive direction changes. 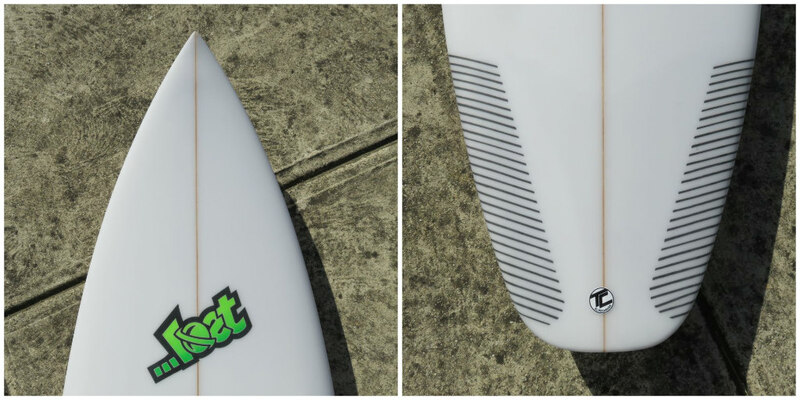 The Voodoo Child also features a very modern, high performance, concave bottom -with a generous single to double concave – the deepest part being between the fins, under your back foot. The curve and concave have been specially blended to easily generate speed, whip tight radius carves and allow controlled release for tail free maneuvers. 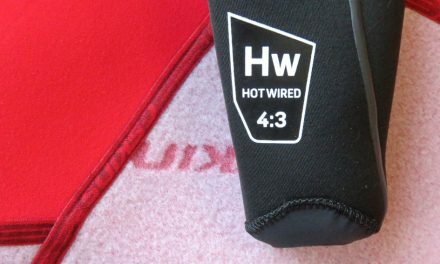 The rails on this model are full, forgiving and tucked soft throughout the length of the board. 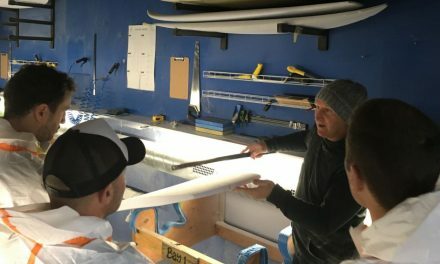 The rails are foiled down in the last 12 inches of the tail, keeping a touch more volume under the rear foot for stability, while still allowing you knife into the wave face.